An image of visiting a home. It’s important to hear from a mother, because each children’s situations may vary. Hello to our regular JVC supporters. The cool season (from December to February) is approaching and it will get colder soon, so I now feel that daily life will become easier in Sudan. It is now around 20 to 25 degrees in the morning and evening in Kadugli, South Kordofan Province in the southern area of Sudan. A local staff member said one morning, “I’ve caught a cold because I slept with the doors open”. She was blowing her nose all day long that day. Now, I would like to report on JVC’s latest activities. More than seven years have passed since the conflicts occurred in 2011. Refugees affected by it have become able to make a living somehow and live their lives independently of assistance for food and so on. However, most of their children do not go to school. Birth registration, the basis of the family register, is required to register for school, but they have not obtained it. JVC is supporting refugees’ and local residents’ children without birth registration in the procedures and expenses to obtain it. 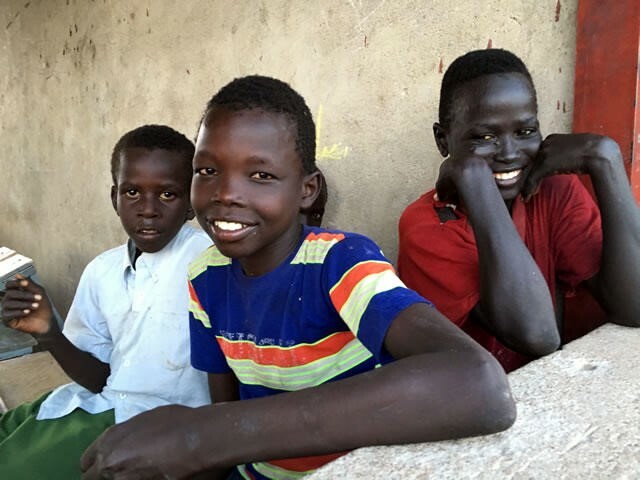 In particular, registration procedures are more difficult in cases where children’s fathers are dead or missing because of war or they were born out of wedlock. JVC is mainly helping in these cases. A birth registration certificate is handed to a mother after her and her child’s names are confirmed. To start, it’s important to clarify children’s conditions in order to carry out birth registration. 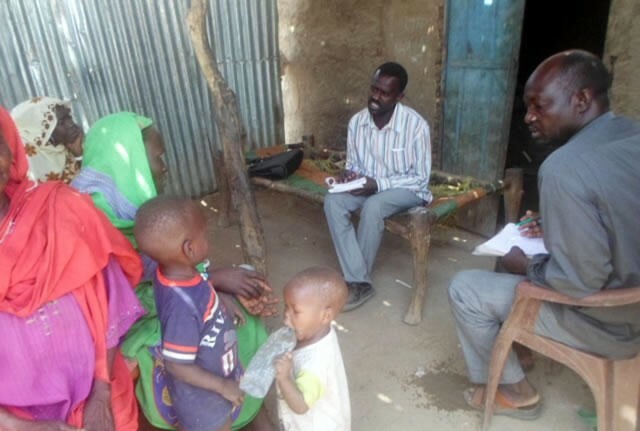 JVC staff members visit their homes together with social workers in order to investigate their conditions such as age, whether or not they have birth registration, and existence of parents or the reason for missing parents (especially fathers). Thereafter, we list children that need to be assisted so that proper procedures for their registration will begin. If parents apply for birth registration within a year after their child was born, the procedure is comparatively simple with no fee charged. However, if only one parent applies for registration and a year has passed since his or her child’s birth, a certificate for its reason and conditions must be issued by court. In this case, a mother will have to appear in court in order to get a certificate. There are many mothers who would be worried about penalties if they appeared in court, because their babies were born of extramarital relationship with soldiers or others while taking refuge. JVC explained to those mothers and made it understood that they would not fall into such bad situations, because JVC was carrying out activities while consulting with the local government office including the court on refugees’ circumstances. If a certificate is issued by court, registration will be undertaken by the ministry in charge. Thereafter, a birth registration certificate will be publicly issued. About 550 birth registration certificates have been issued this year. On a day in October, we handed them to mothers in a community, where JVC offers support. Mothers were gathering in a row just after JVC staff arrived, because they had been informed in advance. Local resident leaders and men also came to watch. Since mothers were too impatient to wait, they quickly informed a staff member of their names. One mother was slightly worried while a staff member was finding a registration certificate. When her name was called and she received a certificate, she checked its contents. She also shook hands with a local resident leader, when he praised her, “Congratulations!”. Boys playing around their mothers who were waiting for birth registration certificates. Ms. Safa is one of those mothers and has five children. A father of three of her children is missing in anti-government areas. Her other two children were born as extramarital babies at a place of refuge. Each of her children needed a certificate to be issued by court in order to certify their birth registration. After she went through the required procedures such as appearing in court together with a local resident leader, she could eventually obtain birth registration certificates for all her children. A boy aged around ten, one of her children, was playing around me. I asked him, “Can I take a photo of you together with your mother?” but, he ran away at full speed. JVC has undertaken birth registrations for more than two thousand children during three years. 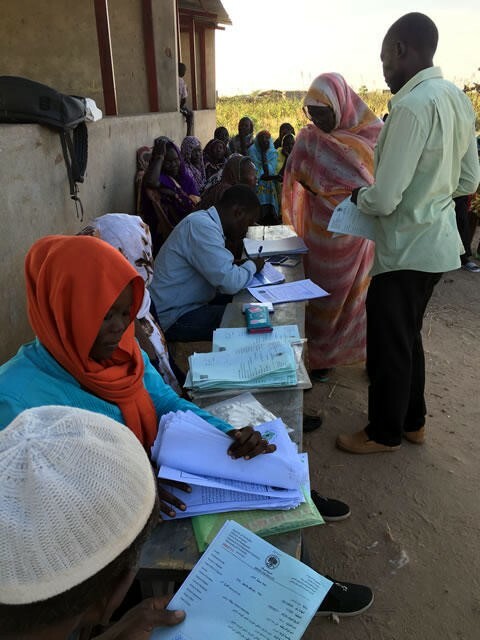 Hereafter, JVC will negotiate with local resident leaders and related agencies so that birth registration can be certified for children including refugees in collaboration with local communities and administration.